At PGA Financial Group we firmly believe that it is essential for us to always bring value to our Financial Professionals, MGA’s and GA’s. We have always, and will continue to dedicate our distinguished services to your success. We hope you find this newly designed website useful to your financial growth. to see what sets us apart! And more! Click below for a quote request form or give us a call! PGA Financial Group is an Independent Marketing Organization specializing in Life Insurance while catering to Independent Insurance Agents and Certified Financial Planners. With our complete portfolio of term, universal life, whole life and annuity products, we have the ability to cover all of your financial needs. We are unique in the fact that we do not represent any one company but you as our client. 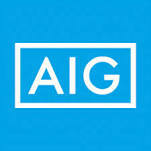 While AIG American General is still our core carrier because of their strong financial foundation and superior compensation, we also offer a diversity of other top rated companies and competitive products; enabling you to have access to the companies and products that best fit you and your clients needs. Our agency has made remarkable advances since it's inception in 2000 to maintain our excellent service. We have a staff of knowledgeable professionals that have over 20 years of industry experience in dealing with insurance carriers. PGA Financial Group is a full service marketing organization who is dedicated to giving you, the insurance professional, quality service while offering the products and support you merit. With our cutting-edge technology and our dynamic services PGA Financial Group can boost your sales and marketing resources. PGA Financial Group offer's a multitude of services which include an energetic support staff who strive for excellence in getting policies issued in a fast and efficient manner. We'll also handle all of the back office administrative work, such as: order the exams, submit applications to the carriers for processing as well as keeping a close watch on each and every case. We're passionate about what we do. Let us show you how our outstanding performance and commitment to relationships can help you create a brighter, more successful tomorrow. PGA Financial Group is a company built upon certain principals and values. We strongly believe that in order to grow your personal business and achieve your financial goals you need the best portfolio of products, compensation and service available. While striving to earn your trust, our highly trained and experienced staff will deliver the support you need and deserve. We will utilize our strong company relationships as well as our knowledge and skills to proficiently process your applications and resolve underwriting issues. PGA Financial Group is focused on building a long lasting, successful relationship with you through today's technology while keeping old fashioned personal service. When you join the PGA team your certain to be with us for LIFE. Life insurance is a protection against the loss of income that would result if the insured passed away. The named beneficiary receives the proceeds and is thereby safeguarded from the financial impact of the death of the insured. Life Insurance needs can change over a lifetime. At any age, the insured should consider their individual circumstances and the standard of living you wish to maintain for your dependents. In most cases, an insured needs life insurance only if someone depends on you for support. Your life insurance premium is based on the type of insurance you buy, the amount you buy and your chance of death while the policy is in effect. This type of insurance pays a death benefit in the amount of the face value of the policy to the insured if he dies from accidental causes. This can be a separate policy or it can be a rider that is added to a life insurance policy. The dismemberment benefit is usually paid when the insured loses his eyesight or limbs. A rider that is added to a life insurance policy and pays an additional amount specified to the beneficiary of the policy if the insured dies from accidental causes. Sometimes it is referred to as "double indemnity”. A specialist in the mathematics of insurance who calculates rates, reserves, dividends and other statistics for the insurance company. This type of permanent insurance allows a policyholder, after the initial payment, to pay premiums at any time, in virtually any amount, subject to certain minimums and maximums. There are two ways to determine your age for insurance purposes. 1) Nearest Birthday: Insurance age advances six months prior to applicant’s birthday. 2) Last Birthday: Applicant’s last birthday will be used to determine age. A revision to an original policy that comes in the form of an official document. This policy allows the insured to renew his policy annually without showing evidence of insurability until the insured reaches a specified age or the policy reaches the end of its specified term. The premium increases each year. A conservative financial vehicle that allows an individual to set aside and/or accumulate funds for a future need. A form that the proposed insured uses to provide information to the insurance company so that they can evaluate the risk and determine the applicant’s appropriate rate class for the purpose of making an offer of insurance to the applicant. The transfer of ownership of a life insurance policy to another person or entity. The age of the insured or applicant on a specific date. A statement from an applicant’s physician which contains medical information and records for use in evaluating a life or health insurance application. A form signed by the applicant that allows the insurance company to obtain information required in the underwriting process. Issuing the policy with an effective date that is earlier than the issue date of the policy, but no more than six months earlier. This is done to obtain a lower issue age thus a lower premium. The person or entity designated by the owner of the policy as the recipient of funds under a life insurance policy at the time of the insured’s death. The monetary amount paid and/or services provided under the terms of the insurance contract. Used to ensure orderly transitions when an owner dies or is disabled. It is a plan used by partnerships, corporations and sole proprietorships whereby the deceased or disabled person’s ownership is sold to the remaining partners, proprietors or shareholders according to a pre-arranged plan that is funded by the use of life insurance or disability income insurance. This is the termination of an insurance contract according to the terms of the contract. It may be executed by the insured or the insurer. Certain policies have features allowing cash accumulation that may be used by the insured person who does not die. For example, a policy might accumulate cash values that would be payable to the policy owner when she or he reaches a certain age or after the policy has been in force for a specified number of years. The amount of money that the insured receives when he or she surrenders their policy. It is calculated using the terms specified in the contract usually less any surrender charges and loans. Amount of cash that accumulates within the policy according to the provisions of the policy. It is the total of the premium paid, less the cost of insurance, plus adjustments for interest or investments. Provides life insurance coverage for any child, stepchild or legally adopted child of the insured, subject to certain age requirements. The premium is usually a flat amount and provides coverage for any number of children. Written request made by the insured or the beneficiary for the insurance company to pay benefits according to the provisions of the insurance policy. A part of the insurance policy the encompasses various provisions of the policy such as exclusions, responsibilities of the carrier or insured and conditions of coverage. Legal regulations requiring employers of 20 or more employees to offer continued group insurance to an employee who is leaving their employ or to the dependents of that employee. Using the insurance policy or its value to secure a loan. When two or more persons join together to commit insurance fraud. Failure to disclose a fact that could affect the issuance or premium of a policy or the settlement of a claim. A temporary insurance agreement that, subject to certain conditions, allows an applicant to obtain temporary insurance coverage during the issuance of his or her policy. A period of time, usually two years, during which the insurance company can declare a life insurance contract null and void due to misrepresentation or concealment by the insured during the application and issuance process. Once the stated constable period has elapsed, the insurance company cannot cancel the policy for any reason other than non payment of premiums. A secondary beneficiary designated by the insured to received the policy benefits in the event that the primary beneficiary predeceases the insured. A legally enforceable agreement between two parties to provide or perform certain specified things. A opportunity provided in certain policies whereby an insured can change his type of insurance coverage usually from term insurance to some form of permanent insurance usually without showing evidence of insurablility. The face amount of the policy or the amount specified as that which will be paid to the beneficiaries upon the death of the insured. The date indicated on the policy as the actual date that the policy was issued, This may not be the same date as the effective date of the coverage. The amount of money paid or services performed as specified in the policy that is due to the beneficiary(ies) at the time of the death of the insured. A certain type of policy whereby the face amount of the policy decreases each year but the premiums remain the same. This is typically used to satisfy the requirements of a loan, such as a mortgage where the amount owing decreases each year. A type of insurance whereby the insured is paid a specified amount of money each month if he becomes impaired and can no longer work. Distribution of company’s earnings to the shareholders. The actual date that the insurance policy becomes effective. A written agreement attached to an insurance policy that amends the coverage by adding or subtracting coverage. The act of planning for the eventual distribution of your assets at the time of your death. A provision in the policy that requires the insured to cooperate in any investigation into the validity of a claim. Health information such as attending physician’s statements, medical exams or lab results required by the underwriting process. Certain specified perils that are not covered by the provisions of the policy. A common exclusion for a life insurance policy might be a hazardous sport such as rock climbing. The date that a policy ceases coverage. The specific death benefit shown in the policy that is to be paid to the beneficiary(ies) at the time of the death of the insured. A person, such as an executor of an estate, attorney or trustee to whom property or power is entrusted for the benefit of another. An amount of money charged in addition to the basic policy premium that reflects an increased risk due to hazardous activities or temporary conditions of health or behavior. A stated period of time in which the insured can examine the policy to decide whether or not to keep the policy with no financial obligation incurred. The stated period of time is usually 10 days during which time the insured may return the policy for a full refund of any monies paid for the policy. A period of time, usually 30 or 31 days, after the premium due date during which time the insured can pay the premium and bring the policy current to keep it in force. A life insurance policy with a low initial premium which increases over time until it becomes level. A life insurance policy that covers a group of individuals who are affiliated in some way, either through an employer, trade association or some other group. The employer typically has a master policy and the employees are offered some coverage without any underwriting requirements. The premiums may be paid by the employer, employee or a combination of both. The issuance of a policy for an individual who has not disclosed past or present physical condition or taken an exam to show evidence of insurability. Activities that increase the risk of death or disease to an individual. These might typically include activities such as scuba diving, mountain or rock climbing, sky diving or race car driving. These activities are considered by the underwriting in determining the insurability of an applicant. Used to describe the condition of a person who would be at higher risk for insurance due to his physical condition or history. This term could also be used to describe a person who participates in hazardous activities. A provision of most insurance policies that provides for a period of time, usually 2 years, wherein the insurance company can contest payment of the proceeds of the policy if it can be shown that the applicant lied or failed to reveal existing conditions at the time of issuance of the policy. The principle upon which all property/casualty insurance contracts are based. According to this principle, the objective of insurance is to restore the insured to the same financial position after a loss that he/she was in prior to the loss. A personal, tax-deferred retirement account that an individual can establish and fund with earned income up to a maximum amount. Deposits up to a maximum of $2,000 per year usually may be deductible Income earned is tax deferred until it is withdrawn. Policies that are currently active and whose premiums have been paid. Reports that may be required for issuance of certain life insurance policies. They might typically include information about an applicant’s financial, physical, moral or other attributes. A relationship between an insured person and the potential beneficiary of the insurance. This relationship must be present at the time the life insurance policy is applied for but doesn't need to exist at the time of the death. Insurable interest exists because there is a reasonable expectation that the beneficiary will benefit from the continued life of the insured, or experience a loss at the death of the insured. A contractual agreement that transfers the risk of loss to an insurance company in return for premiums paid. The person who is covered by an insurance policy. The party who provides the insured with protection, usually in the form of a monetary payout, against loss as outlined in the policy. A beneficiary who can be changed only by written consent of that beneficiary. The age upon which premiums are based for the payment of an insurance policy. Some companies consider that age as the last attained age, others may consider it to be the nearest age. This type of insurance is usually used for estate planning. It provides coverage for two or more persons and typically pays at the death of the last of the insureds. This insurance is designed to provide monetary compensation upon the death of a key employee whose death has caused hardship to the company. The employer is usually the owner, beneficiary and payer of the policy. The termination of an insurance policy due to non payment of premiums. A term life insurance policy whose premiums remain the same over the term of the policy. An obligation of one party to another for damages resulting from the actions of another. A factor used in determining insurance rates. Statistically, it is the length of time that a person is expected to live based upon tables that have been calculated reflecting different physical and mental conditions and history. The sale of an existing life insurance policy to a third party for an agreed upon compensation. Certain specified provisions in the insurance contract that limit the amount of coverage and or the exclusion of certain situations or premises. The actual damage incurred under the coverage provisions of the contract. The amount of money that an insurance carrier must, by law, have available to pay for incurred losses. Lump SumA form of payment of proceeds of an insurance policy that is paid as a result of an incurred and covered loss. It is paid in a single payment as opposed to a series of installments. Amount of money available to the insured person to borrow from his policy under the provisions of the contract. A policy issued to an employer or other entity that is the basis for group insurance. Individual certificates may then be issued to the individual employees or members. An organization that provides member companies a means whereby they can access medical and other information about individuals who have applied for insurance. The information is available to member companies for future underwriting assessment. Information available at www.mib.com. 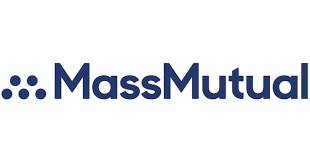 An attempt to defraud the insurance company by purposely providing inaccurate information with the intent to obtain a more favorable underwriting outcome. A type of insurance coverage that pays the outstanding balance on a mortgage in the event of the mortgagor’s death. It is usually a decreasing term life insurance policy wherein the coverage amount decreases as the unpaid balance of the mortgage decreases. An insurance company whose policyowners are also the owners of the company. Mutual companies do not have stocks that trade on the stock exchange, however, they do pay dividends to their owners based upon the profitability of the company. A life insurance policy whose owner does not receive dividends from the profits of the insurance company. A written notice provided to the policyowner specifying that the policy will cancel on a certain date. The submission of an application for insurance or the resulting response of the insurance company wherein the have evaluated the risk and propose a premium amount. A situation in which the amount of the insurance benefits are greater than the actual potential damage. In the case of life insurance, when the insured has coverage for an amount greater that the human life value. A medical examination conducted by medical professional (usually non MD) for the purpose of evaluating an individual’s health risk. This evaluation is a factor in determining the rate class and resultant premium for the policy. A disability that prevents the insured from completing some but not all of his normal duties connected with his occupation. Damage or loss of a portion of the insured property. A term used in the designation of beneficiaries wherein if there is more than one beneficiary and one or more of the beneficiaries should pre-decease the insured, the remaining beneficiaries will share equally in the death benefit. A term used in the designation of beneficiaries wherein if there is more than one beneficiary and one of more of the beneficiaries should pre-decease the insured, the remaining beneficiaries will share equally in the death benefit with one equal share per dead beneficiary to be divided among the heirs of the dead beneficiary. A policy that provides coverage for the entire life of the insured. The percentage of insurance policies that stay in force and do not lapse. 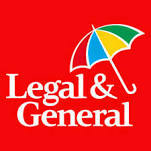 A legal contractual agreement between and insurance company and an insured. The anniversary of the date that the policy was issued. The date that the policy was put into effect. A policy is not taken when an applicant decides not to accept a policy. This is the person who owns the policy. A legal agreement wherein one person has the power and permission to act on behalf of another. This usually applies to legal proceedings and decision making. A premium and rating classification that is better than standard risk. This is usually the lowest designated premium classification. A premium classification that is better than standard risk, but not as low a premium as the preferred best rating. The amount of money required to keep a policy in force. It is determined by the rate class and the underwriting evaluation of the risk. Billing provided to the policyowner to notify them of the premium required to keep the policy in force. The person or entity indicated by the policyowner to receive the proceeds of the policy in the event of the death of the insured. Legal documentation provided to the insurance company about any incurred losses and required in order for any proceeds of the policy to be paid. The contents of an insurance contract that details the terms of the policy and the requirements of both the insured and the insurer. The premium class determined by the underwriting process wherein the health and other conditions and histories of the applicant are evaluated. A term used to describe a policy that is evaluated and placed in a rate category that is more expensive than standard due to findings in the underwriting process and specific applicant evaluation. The process of putting a policy in force after it has lapsed by bringing the premium payments current. A type of life insurance policy that is renewed annually and the premium is adjusted, usually higher, each year. The process of canceling one policy and obtaining another policy to replace it usually to obtain better coverage or lower rates. Written or verbal statements made during the application process usually relative to the medical or other condition or history of the applicant. A person designated as beneficiary that may be removed or changed at the discretion of the policyowner. An endorsement to an insurance policy that provides additional coverage usually for an increased charge. A rider may also remove or change a condition in the policy. For insurance purposes, risk refers to the probability that a given covered event, such as death or a car accident, will occur. It is the probability that the insured will incur financial loss as a result of a specified occurrence, as in damage to property, personal injury or loss of life. This is a provision in the tax code that allows a person to take the proceeds from an existing life insurance policy and transfer them immediately into another life insurance policy while deferring the payment of taxes on the gain. A type of life insurance purchase wherein an employer and an employee split the premiums, ownership and proceeds of an insurance policy. For insurance purposes, a person who is considered to have an average risk of loss of life based upon their medical condition and history, avocation and lifestyle. For insurance purposes, a person who is considered to have a more than average risk of loss of life based upon their medical condition and history, avocation and lifestyle. A provision in a life insurance policy that states that the policy will not provide benefits if the insured dies from suicide during a specified period of time, usually the first two years of the policy. Super-Preferred RiskFor insurance purposes, a person who is considered to have a less than average risk of loss of life based upon their medical condition and history, avocation and lifestyle. A term used to describe the voluntary termination of an insurance policy. Usually low cost life insurance that pays a death benefit upon the death of the insured but does not have an investment or cash accumulation provision in the policy. The cancellation of an insurance policy by either the policyowner or the insurance company. A beneficiary that is third in line for the proceeds of a life insurance policy following the primary and secondary beneficiaries, if either of them should predecease the insured. According to the term of a trust, the person who is designated to act as guardian and manage or use the property for the benefit of the trust recipients. A person who assesses and applicant’s risk and assigns a corresponding risk category and thus assigns premiums. A legal contract in which only one party makes legally enforceable promises. In the case of life insurance, the insurance company makes the promises and the policyowner pays premium to the company in exchange for the promises. A person whose medical condition and history or avocation or lifestyle are determined to represent such a high risk of loss of life that an insurance company will not offer coverage. An adjustable type of life insurance wherein the policy provides a death benefit and additional provisions for an investment with minimum guarantees. The policy face amount and or investment amounts may be subject to change at the discretion of the policyowner and the stated policy provisions. A type of permanent life insurance policy that provides a death benefit and sub-accounts for varied investment and savings accounts per policy provisions. One of several types of life insurance policies that provide both life insurance protection and a savings component. The return on the savings portion of a variable life policy will generally vary, as it depends on the performance of the underlying securities. A provision that allows for an insurance policy to be cancelled by either the insurance company or the insured if either side breaches the contract. A rider to an insurance policy that provides that the premium payment will no longer be required to keep the policy in force if the insured is disabled for a period of time, usually six months. A type of life insurance policy that stays in force for the insured’s entire life, as long as the premiums are paid. The best place to buy life insurance online, by telephone or in person. A term life insurance policy that is renewed at the end of each year without evidence of insurability. The premium usually goes up each year. Most “individuals” need affordable life insurance. It’s that simple. No matter your age, marital status, or whether you have dependent children or not, life insurance is an important safeguard to consider for you and your family’s financial future. Burial Expenses – Life insurance proceeds an ensure that there is enough money for proper funeral and burial expenses. Mortgage Protection – The proceeds of a life insurance policy can pay off the balance of a mortgage or provide a stream of income to pay monthly mortgage or rent payments. Income Replacement- In the event of an individual’s death, life insurance proceeds can provide a supplemental income stream to ensure that the surviving family members are able to maintain the same standard of living. Education- Life insurance proceeds can ensure that the education costs of the insured’s children are covered. Key-Person - Coverage financially protects the company from adverse financial impact if a key employee suddenly dies. The policy would provide funds to find, recruit and train a replacement, help replace any lost profits, and strengthen the balance sheet to assure creditors that the business will continue. Buy-sell Agreements - Ensures that the remaining business owners have the funds to buy the company interests of a deceased owner at a previously agreed upon price. The owners assume the business interests/shares and the family gets the financial proceeds from the buy-out. Business Loan Coverage – Life Insurance can be used to pay off a bank loan or other business debts in the evens of a key employee or business owner’s death. Term Life Insurance provides protections for a specified period of time. A death benefit is paid to the beneficiary if the insured dies within a period of time while the policy is still in force. Many term life insurance plans can be converted to permanent life plans without evidence of insurability. Term Insurance can be an attractive choice for people whose need for life insurance protection may be greater than their ability to pay the required premium. This is especially true for young persons just beginning their careers, and families with growing children. Term insurance provides a way to obtain valuable coverage sooner than might otherwise be possible – at the same time it protects against the dangers of future uninsurabilty. A return of premium term life policy typically offers a level death benefit with fully guaranteed level premium for the first 15, 20 or 30 years, though this may vary by company and state. Under the return-of-premium feature, the cumulative premiums paid, not including substandard and rider charges will be returned at the end of the level term period if the policy is in force at that time. Often, a portion of the cumulative premiums will be refunded upon surrender after the policy has been in force for a specified number of years. Most return of premium life insurance policies allow for conversion to permanent insurance offered by the same company during the covered period without evidence of insurability. Whole life is cash-value insurance, which stays in effect as long as premiums are paid. That sets it apart from term insurance, which is for a specified term only and must be renewed on a regular basis. Premiums are paid for the “whole life” of the insured person, continuing until he or she dies or reaches a specified maximum age. The rate of return on whole life insurance cash values is dependent upon a number of factors including the results of an insurance company’s investment performance. Whole life insurance policies are valuable because they provide permanent protection and accumulate cash values that can be used for emergencies or to meet specific objectives. The cash values of whole life insurance policies may be affected by a life insurance companies future performance. Some factors that influence a life insurance company’s performance are expenses, mortality experience, and investment performance. Universal life insurance, while similar to traditional cash value contracts, includes variations and options designed to make life insurance more attractive to consumers. A major difference: universal life policy owners can adjust both the premium and the death benefit – up or down- throughout the insured’s life. Universal life policies may be purchased with one of two different death benefit options. One is a level death benefit and the second is an increasing death benefit. Although premium payments are flexible, a universal life policy will usually have a target premium which is the suggested annual premium payment. The target premium for some companies is sufficient to keep the policy in-force to age 100; however, this is not guaranteed. The cash values of universal life insurance policies may be affected by a life insurance company’s future performance. Some factors that influence a life insurance company’s performance are expenses, mortality experience, and investment performance. Variable universal Life (VUL) may offer the best of both worlds – insurance protection combined with professional managed investments to help you control your financial future. Variable Universal Life Insurance combines certain features of variable life and universal life insurance policies. With Variable Universal Life (VUL), policy owners have access to a separate account where they can select variable investment options with the potential for greater earnings than the guaranteed rates in traditional whole life insurance contracts. Along with the chance for greater earnings comes the risk of lower earnings than the contract’s guaranteed rates. VUL also lets policy owners adjust both the premium payments and the death benefit as prescribed by the policy language. The VUL contract provides a great deal of flexibility not found in traditional life insurance policies. Premium payments may be increased or decreased (or skipped entirely in some cases) as the policy owner’s financial situation and priorities change. The death benefit is variable and adjustable, capable of being raised or lowered. Variable cash values can grow with favorable investment performance. The policy owner has control over the selection of variable investment options within the contract. The policy owner can choose from a range of options for loans and withdrawals. As with all types of cash-value life insurance, poor policy performance, distributions (through loans or withdrawals), and under funding can cause the policy to lapse. The policy holder has the responsibility to manage the policy accordingly. Survivorship policies, also known as second-to-die policies, insure the lives of two or more people, but the death benefit is payable only after the second – or last- death. There can be a need to provide continuing income for people who are dependent on the insured couple, such as minor children, disabled adult children or elderly relatives. Surviving children buying a business owned by insured parents may need money to fund a buyout of the parents’ interest. Two key employees can be covered in a survivorship policy when the employer can handle the financial impact of one death, but not two. Two or more business partners can be insured in the same policy, providing funds to cover expenses when the last partner dies and the business must be dissolved or sold. Premium payments are typically lower than for two individual policies since the statistical risk is lower for the insurance company. Many insurance companies will insure a person whose health is marginal as long as the other insured person covered by the same policy is healthy. Also, coverage is less expensive than for a single life policy because the death benefit isn’t paid until the second death. These and other benefits illustrate that survivorship life insurance can be an effective, economical way to insure people whose relationship can create tax consequences or other needs at the second or last death. A beneficiary is the person or entity designated by the owner of the policy as the recipient of funds under a life insurance policy at the time of the insured’s death. There are two kinds of beneficiaries, Primary and Contingent. Primary Beneficary(ies)are the person(s) or entity you choose to receive your life insurance proceeds. Payment will be made in equal shares unless otherwise specified. In the event that a designated primary beneficiary predeceases the insured, the proceeds will be paid to the remaining primary beneficiary in equal shares or all to the sole remaining primary beneficiary. Contingent Beneficary(ies) are the person(s) or entity you choose to receive your life insurance proceeds if the primary beneficiary(ies) die (or the entity dissolves) before you die. Payment will be made in equal shares unless otherwise specified. In the event that a designated contingent beneficiary predeceases the insured, the proceeds will be paid to the remaining contingent beneficiaries in equal shares or all to the sole remaining contingent beneficiary. "John Doe, Father, and Jane Doe, Mother." "John Doe, Father, as to seventy-five percent (75%) and Jane Doe, Mother, as to twenty-five percent (25%) or to the survivor." Note: Always use percentages, not dollar amounts or fractions. "Jane Doe, Wife, if living, otherwise Jack Doe, Son." "Jane Doe, Wife, if living, otherwise Jack Doe, Son, and Janet Doe, Daughter, or to the survivor." "John Doe, Father, and Jane Doe, Mother, or the survivor, if either survives; otherwise Jack Doe, Brother." "Children born of the marriage or legally adopted of John Doe and Jane Doe, per stirpes." "Trustee or the Successor Trustee(s) under a written trust agreement with, dated." "Trustee(s) of the Trust created under the Last Will and Testament of Insured." "Northern Bank, Creditor of the Insured, as its interest may appear and any balance, if any, to." "Smith and Smith, a Partnership, 123 Main Street, Chicago, IL." "Smith and Smith, Inc., a Delaware Corporation, 123 Main Street, Chicago, IL." There are other issues that may require consideration, such as the policy/contract definition of terms, and we have not addressed such situations as: payments to minors, common disaster clauses and method of payment. These frequently may be important considerations for the policy owner. Finally, beneficiary designations were never intended to replace a properly drawn will or the ongoing management that can be provided by a trust. As always, we encourage the policy owner to seek and rely upon their own tax and legal counsel. When your client needs an exam, it is only natural for him or her to have questions. We have prepared this information for you to advise your clients on what to expect during an exam, answer a few questions and provide helpful information to make the inspection report and paramedical exam as smooth as possible. The inspection report is a necessary part of the applications process. The entire phone interview lasts from 10 to 20 minutes depending on the number of supplementary questions needed such as: about a high-risk occupation or hobby, the Business Beneficiary Report or health questions. Why is an inspection report needed? The inspection report is an important independent source used to confirm information provided on the application and obtain additional personal information. The report is required for policies with face amounts above $1,500,000. Inspections may also be ordered at the underwriter's discretion. For cases over $25,000,000, a direct face-to-face interview may be requested. Inspection reports are confidential and strictly between your client and the life insurance underwriter. Generally, a paramedical exam takes about 20 minutes. During the exam, a trained medical technician will ask a series of medical questions and measure your client's height, weight, blood pressure and pulse. An electrocardiogram (EKG) and/or a blood profile may be required, in addition to a urine sample. An EKG is a painless procedure that monitors the heart's electrical activity, also known as the heartbeat. If a blood profile is needed, the technician will draw blood from your client's arm. The blood and urine samples are then sent to the laboratory via air express. All test results are confidential and for the purpose of underwriting only. If your client would like a copy of the results, a signed authorization requesting them is required. Clients can discuss the results with their own doctor. Occasionally, additional test required - for example, a stress test (an EKG taken while the patient is on a treadmill). 4. Don't eat or drink (other than water) for at least four hours prior to the exam. An eight-hour overnight fast is recommended. 5. Avoid alcohol, caffeine and meat products 8-12 hours prior to the exam. 8. Avoid strenuous activity or exercise for two hours prior to the exam. 9. Be prepared to provide information about all medical history. 8. Verification of financial information may be requested from sources such as bankers, or accountants. For large amounts, other business or appropriate sources may be contacted. Please feel free to contact your underwriter should you have any questions.